Dawa Steven, do you also notice in your company a low demand for trekking and expeditions this fall? Yes, we definitely have less demand. We did not have cancellations from people who already booked before the earthquake. But we did notice that there are less bookings altogether. I think for the first time ever we don’t have an expedition. We had to cancel our two expeditions in Tibet because the Chinese did not give any climbing permits for this autumn. We tried to divert the expeditions from Cho Oyu and Shishapangma to Manaslu, but our clients were not interested. What does this mean for Sherpa guides, cooks, kitchen aids, porters as well as for the owners of the lodges? Of course that is not good news. We employ 62 Sherpas who depend on this work. 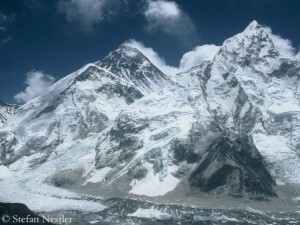 If possible, we give them the opportunity to lead the treks in the Everest or Annapurna region. But of course it’s not the same level of income as they would get from mountaineering. That is not a good situation for anybody. What is the mood like in the Sherpa community after two Everest spring seasons with deadly avalanches, earthquake and abandoned expeditions? 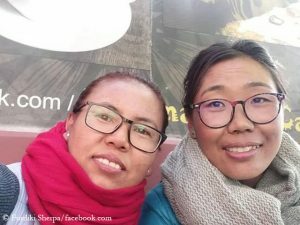 How is the financial situation of the Sherpa families after these two bad spring seasons? A lot of Sherpas have been hit very badly, because they not only lost a lot of their income. They also had to spend more money to rebuild their houses after the earthquake. Luckily we should say that Sherpas have a very strong culture of saving money. 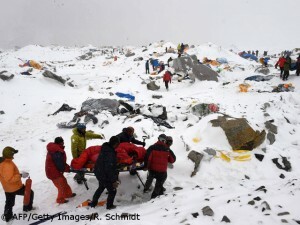 Many Sherpas have stored some money for times like this. From a financial point of view Sherpas are stronger than the rest of Nepal. They were able either to use their own money or to borrow it. People trust them because they have the income to pay it back later. 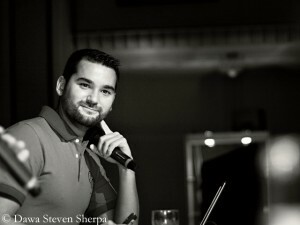 In addition many Sherpas also received direct funding from previous clients who live in other countries. So Sherpas are lucky in that way because they have so much international support for them. Since May, Nepal has a Tourism Minister who is a Sherpa. Do you now notice more awareness within the government for the needs of mountain people? There is, of course, a better mood for us in the tourism industry because we have a Sherpa minister. But he is also challenged in many ways, because he is part of a political party which has its own agenda. He has to work with the bureaucracy which was used doing things in their own way such a long time. The minster has fast tracked a lot of things and he also understands a lot of the challenges that the tourism industry faces. So we are happy in that way, but on the other way we are also a little bit nervous now because there are talks again that very soon the prime minister and his cabinet is going to change. If the Tourism Minister will change, we will have to start at zero again. What is the most important thing that has to be done to improve the situation in tourism? The first thing that the government has to do is to address the needs of the climbers, especially the ones who came for Everest, to build up the confidence so that Nepal does not just take their money like the permits for 11,000 dollars. The impression should not be given to the climbers and the rest of the world that Nepal does not care about the tourists who come to Nepal. So Nepal has to be very quick and say: “We understand, there was a big earthquake and that you had to cancel your expedition on Everest. We will extend your permit for another three or five years and will not charge more money!” That is one way to gain some confidence back and a very simple thing that the government should do. 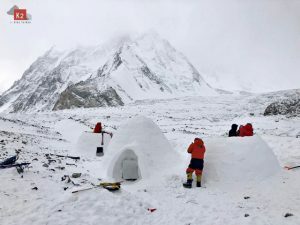 The government of Nepal has had a real, real bad reputation last year after the avalanche for not addressing the situation seriously and it is running the danger of doing the same thing this year and again losing their reputation or making that reputation even worse. 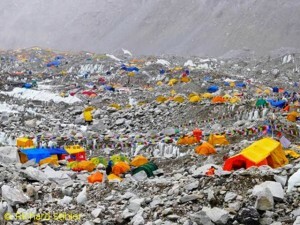 Do you fear that many climbers will switch to the Tibetan north side? I do not only fear, I know that many have switched. For example this year, I had three climbers who went to the north side who were on the south side last year. 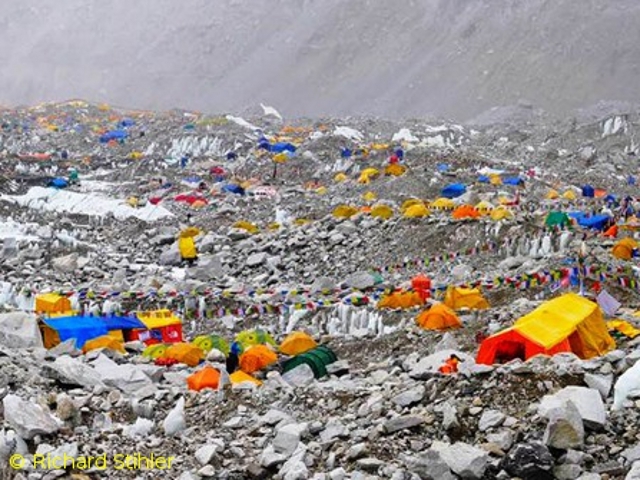 Other climbers, who had to cancel their expedition because of the 2014 avalanche and returned to Nepal this year, are now asking me to go to Tibet next year. And I also have new climbers who have expressed very clearly that they don’t want to come to the Nepalese side of Everest, they want to go to the Tibetan side. 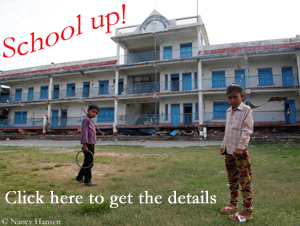 But you still have requests for your expedition on the Nepalese south side? I do have requests for the expeditions on the Nepali side. And I should say I have more requests on the south side than on the north side. But more people are now asking for the China side than before. 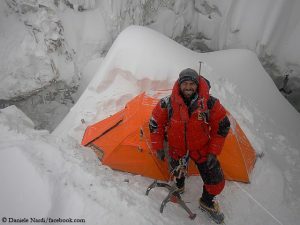 What do you think about the media hype about this fall’s Everest expedition of the Japanese climber Nobukazu Kuriki? Nobukazu initially wanted to go to the Tibetan side, but due to fact that Tibet is closed now he decided to come to Nepal. I don’t know whether he came here specifically to promote tourism and climbing again. He wanted to climb Everest anyway. But it happens to be a very symbolic move in a time when most people are afraid to travel to Nepal. I appreciate that he has come back to climb. What would you answer people who ask you whether it is safe to travel to Nepal now or next spring? I would say: “It is safe” because I have been to the mountains myself and I am going back up again on the 14th this month. My friends are out there, we are doing a lot of relief work. So we know: It’s safe. I don’t fear any danger. Where there is danger, it is clearly marked out. The government will not allow going to dangerous areas, like for example in the Langtang region. But most of Nepal is safe. 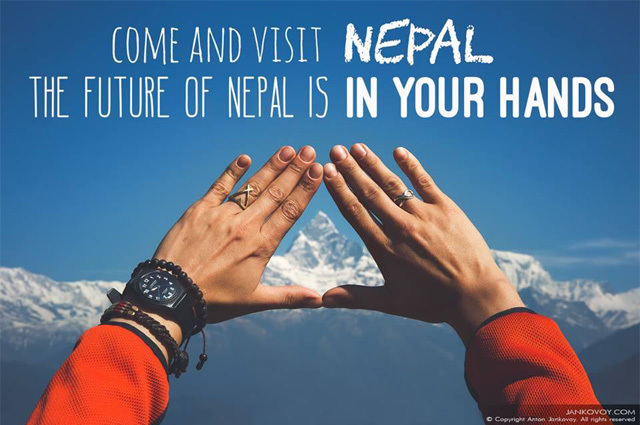 What is your feeling: Are you optimistic that Nepal will come back to its feet again? Yes, sooner or later, because the Nepali people have a very different attitude than I think most of the people in the world. They never expected the government to help. They built the houses, that were destroyed now, with their own hands and they will rebuild them with their own hands again. The government may come and help a little bit as well as some international organizations will do but the majority of houses throughout Nepal will be rebuilt by the people themselves.